To provide financial assistance to a resident or full-time student of the MAC region pursuing graduate education in archival administration and to encourage the study of archival administration. One scholarship of $750 (payable to the educational institution) and a one-year membership to MAC. a resident or full-time student residing in one of the following states: Illinois, Indiana, Iowa, Kansas, Kentucky, Michigan, Minnesota, Missouri, Nebraska, North Dakota, Ohio, South Dakota, and Wisconsin. currently enrolled or accepted into a graduate, multi-course program in archival administration. If the program is not listed in the SAA Directory of Archival Education, the applicant must provide proof of the multi-course standard by submitting course descriptions from the institution's current department catalog. a grade point average of at least 3.0 (based on 4.0 scale) in their most recent academic year. Transcript from the applicant's most recent academic program. Essay of no more than 500 words outlining the applicant's interests and future goals in archival administration. Award winner will write an essay for the MAC Newsletter on their academic activities assisted by the scholarship and its importance to their graduate archival education. 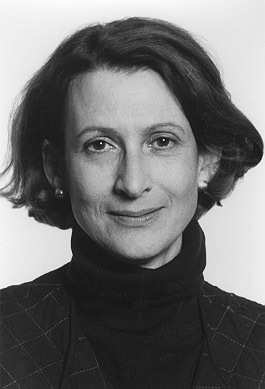 Louisa Hopkins Bowen began her professional career in 1975 as archivist at Wayne State University. In 1976, she was appointed archivist for the National Board of the YWCA in New York City. Upon leaving New York, Bowen served as cataloger and archivist at the University of Memphis from 1978 to 1980. Relocating with her family to the St. Louis area, Bowen served for five years as curator of manuscripts at the Morris Library, Southern Illinois University at Carbondale, before assuming the position of archivist at Lovejoy Library, Southern Illinois University at Edwardsville. She held degrees from Skidmore College, Wayne State University, and New York University. Bowen passed away on October 24, 1996. Long active in both her profession and her community, Bowen was a member of the Midwest Archives Conference and the Society of American Archivists; she also served as president of the Association of St. Louis Area Archivists. In May 1997, MAC’s general scholarship was renamed the Louisa Bowen Memorial Scholarship for Graduate Students in Archival Administration to honor her contributions to MAC, including Legislative Update editor for the MAC Newsletter, Council member, and program committee chair.